In February 1940, the Nazis established what would become the second largest Jewish ghetto in the Polish city of Lódz. Its chosen leader: Mordechai Chaim Rumkowski, a sixty-three-year-old Jewish businessman and orphanage director, and the elusive, authoritarian power sustaining the ghetto's very existence. 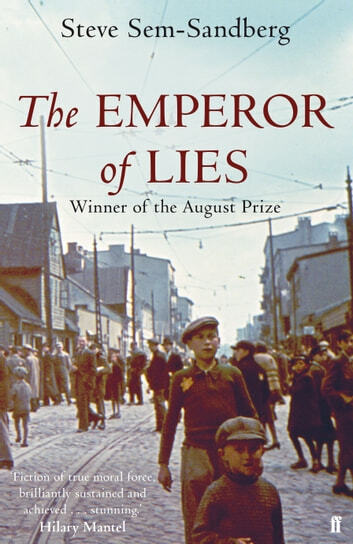 From one of Scandinavia's most critically acclaimed and bestselling authors, The Emperor of Lies chronicles the tale of Rumkowski's monarchical rule over a quarter of a million Jews. Driven by a titanic ambition, he sought to transform the ghetto into a productive industrial complex and strove to make it - and himself - indispensable to the Nazi regime. Drawing on the chronicles of life in the Lódz ghetto, Steve Sem-Sandberg captures the full panorama of human resilience, and questions the nature of evil. He asks the most difficult questions: Was Rumkowski a ruthless opportunist, an accessory to the Nazi regime driven by a lust for power? Or was he a pragmatic strategist who managed to save Jewish lives through his collaboration policies?